Ford’s 2014 F150 has been updated with slight changes to the suspension platform and Fabtech has taken advantage of this by developing an affordable 6” Suspension System. 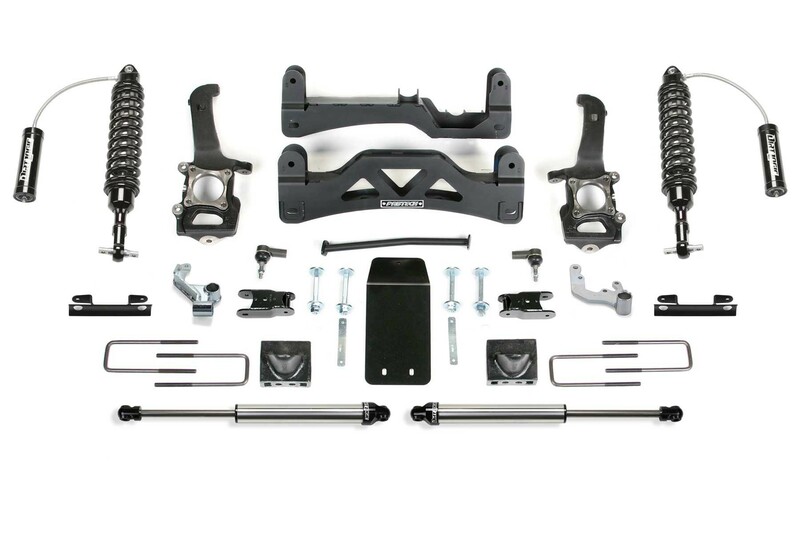 This new system includes heavy duty 1/4″ thick steel lower control arm crossmembers with an integrated front differential skid plate for protection and increased front suspension strength. Fabtech extended length ductile iron steering knuckles allow use of 18″, 20″ or 22″ wheels. The Performance System comes with Dirt Logic 2.5 Coilovers featuring Eibach coil springs in the front and Dirt Logic 2.25 in the rear for aggressive offroad driving. 47. Fits SuperCrew models only.